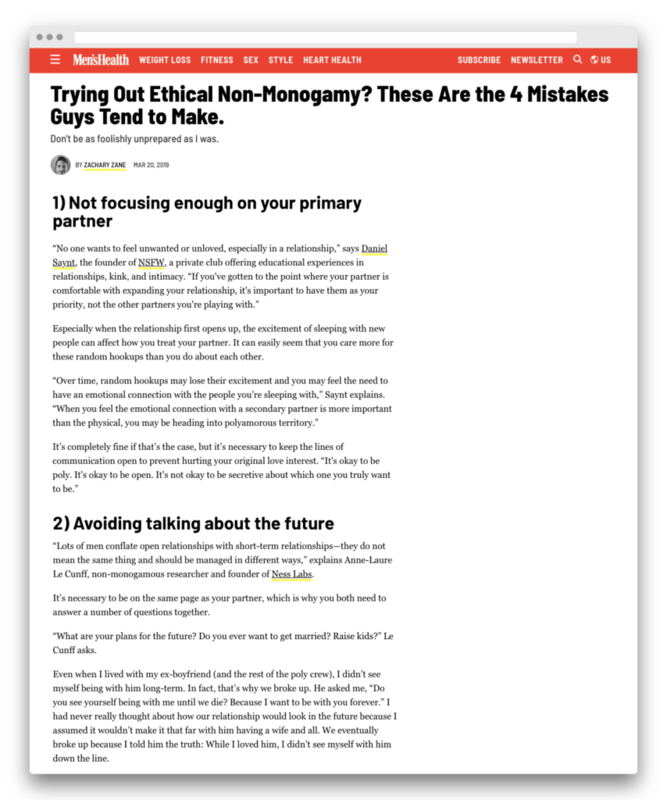 Non-Monogamy: Measuring Degrees of Sexual and Romantic Exclusivity in Relationships. It has been speculated that monogamy exists on a continuum as opposed to the traditional view of a discrete class. This research, using a convenience sample of 509 individuals who self-identified as either polyamorous, ambiamorous, or monoamorous, examines the potential validity of a scale to experimentally measure degrees of sexual and romantic exclusivity, ranging quantitatively along a spectrum. The scale was designed to measure the attitudes of participants towards the ideas of their partner and/or themselves being sexually and/or romantically involved with other individuals. 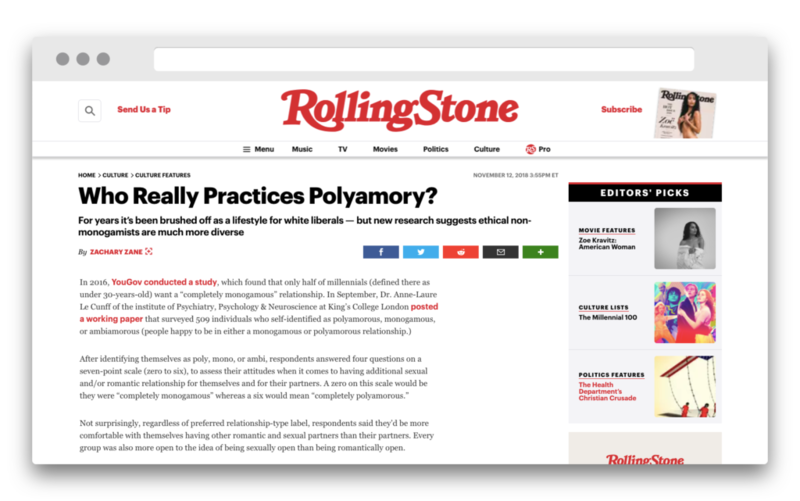 Participants exhibited a range of scores signifying various degrees of acceptance towards the idea of multiple sexual or romantic relationships, supporting the hypothesis of monogamy and polyamory as members of a spectrum. The evidence is discussed and future developments based on these findings are suggested. Le Cunff, A. (2018). Non-Monogamy: Measuring Degrees of Sexual and Romantic Exclusivity in Relationships. Sexuality & Gender Studies eJournal, 26(2), 41-47.